Exhaust fans help eliminate odors, improve indoor air quality, exhaust harmful chemical fumes or just cool your facility to increase employee efficiency. G & W Services installs and repairs commercial and industrial grade exhaust and ventilation type fans can help to create a cooler more comfortable work environment, which can directly contribute to productivity, quality and profitability of your business. In addition, an exhaust fan is the most critical component of a restaurant’s exhaust hood system. If it malfunctions, it can create an environment that will not only be uncomfortable for customers and employees, but can also result in crippling fines associated with health code violations. We are experts at diagnosing and fixing exhaust fan problems, and we can make sure your fan runs properly so that your business continues to run smoothly and efficiently. Our technicians will promptly respond to any problem you may have and repair it quickly with minimal disruption to the flow of your business. G & W Service provides full installation, repair and maintenance on a variety of commercial exhaust fan systems and set-ups. 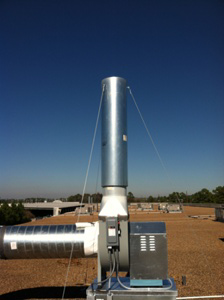 We install individual exhaust fan systems, as well as associated duct and hoods in commercial environments throughout Houston. We can design and install a central exhaust system suited to your specific needs. 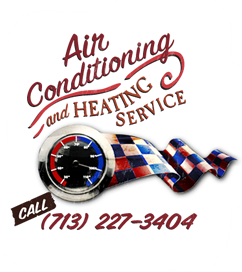 In addition to repair and replacement, we also provide maintenance that is critical to ensuring the efficiency and effectiveness of your exhaust fan, vital to extending its life. 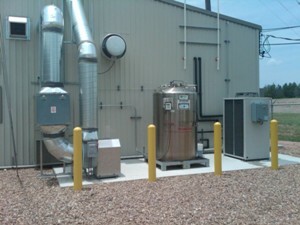 G & W Service offers specialists who are experts in the maintenance, repair and replacement of commercial exhaust fans. Contact us at 713-227-3404 to learn more.